Creating STEM Opportunities for Student Growth! Our focus on student learning at the earliest levels will help to address the needs of students in STEM and will aid foundational learning in problem solving and STEM principles. Students need the support of the entire community to be successful. We demonstrate the relationship of community support to encourage successful academic growth. 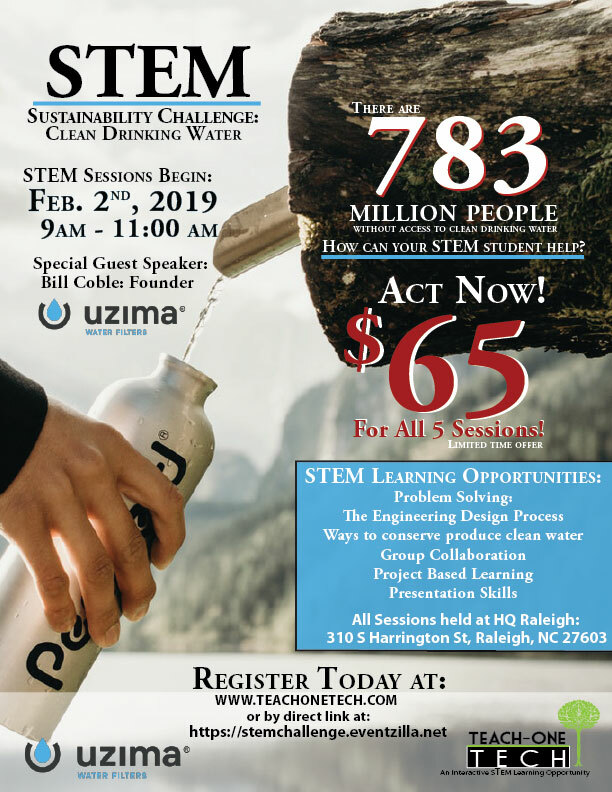 Dream Big…Dream STEM Student Conference: Career exposure for students in various STEM fields: Students and parents registered to learn about stem careers. We are thankful for all presenters and sponsors who make this annual event a success. 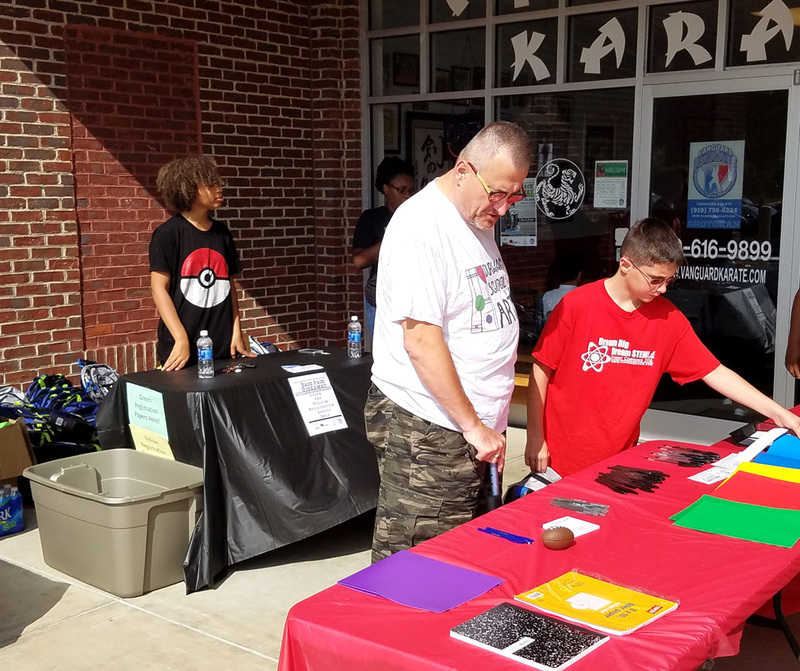 Backpack Giveaway: For the past two years we have partnered with community organizations to serve the youth of the surrounding Wake, Johnston, and Guilford County Communities by providing school supplies. Our kids had and awesome experience learning about the sun and the solar eclipse of 2017. 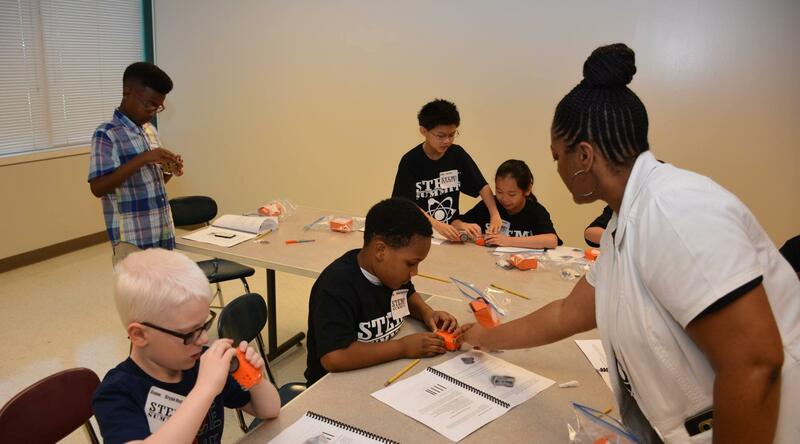 We are excited about having our kids experience STEM in new and more profound ways! In collaboration with North Carolina Central University and support from Kramden Institute and the Boy Scouts of America, students learned how to program Edison robots using scan technology and GUI interface technology! We believe that as students learn, so should their parents. Parents have to understand how to nurture their students for the challenges that lay ahead. Melvin Knowling hosts a Parents Role in STEM session during the Dream Big...Dream STEM Student Conference. Dr. Kory Bennett addresses parents at the STEM Summit: Robotics. He provided insight on programs offered through North Carolina A&T State University , the NC FIRST LEGO League, and FIRST Tech Challenge. Marshall Burkes from the Kramden Institute discusses the programs and services that are offered throughout the year. We encourage parents and students to work and learn together to encourage even greater educational relationship building. Students explored Redhat, corporate headquarters, during one of our Tech Saturday Outings! Annual Community organizational collaborations to provide school supplies and backpacks for students. Students collaborating to create and explore robotics and competition design. 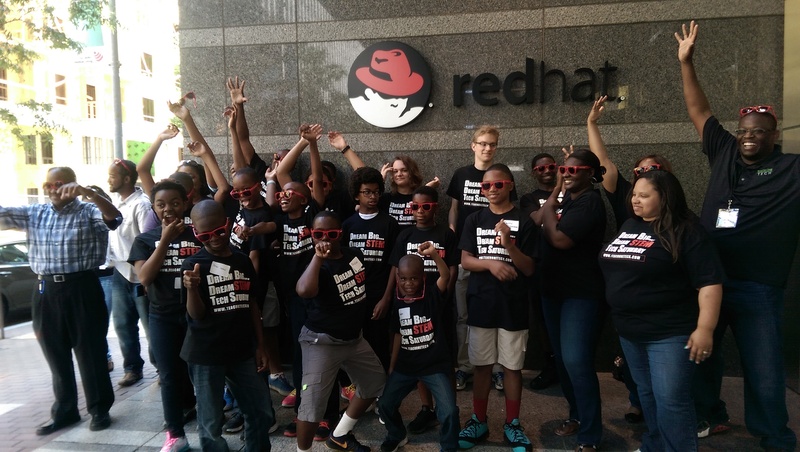 Community organization Red hat engaging Tech Saturday students in STEM and an onsite tour. The future STEMGINEERS at the Teach-One Tech Dream Big.. Dream STEM Student Conference. To teach, guide, and provide an opportunity for students to apply technology based concepts, theories, and sustainability practices to steer innovation, higher learning, and deeper interest in STEM related disciplines. 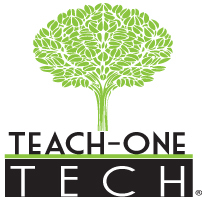 Please contact us at info@teachonetech.com to let us know how we can serve you better. What programs would you like to see that would interest your student? Copyright 2017 TEACH-ONE TECH INC.